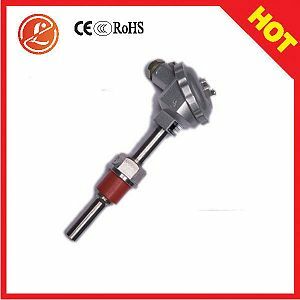 Because of the high temperature in the charge end of furnace in fluid bed,circulating fluid bed and cement rotary kiln,the wear of the material flow and the corrosion caused by diversified harmful gases,the temperature sensor always needs to be changed frequently,which not only increases the labour intensity of instrument workers and production cost but brings about serious hidden danger.In these years,the development of high temperature abrasion-proof thermocouple based on the improvement on the protection tube and temperature measurement elements efficiently improves the lifetime and thermometric reliability of the sensor and perfectly solves the above problems. 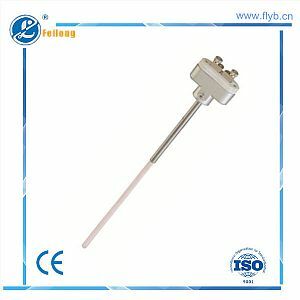 Adopting the special technology and abrasion-proof alloy material protection tube with its degree of hardness up to HRC85~90 and having the good performance in abrasion-proof and corrosion-resisting,they are applicable to the temperature measurement of the circulating fluidized bed boiler(CFB) of power plant,the mixing temperature of coal dust caused by primary air flow,the inlet and outlet of the coal grinding machine,the pulverizing system,the petroleum cracking,the building asphalt mixture and the flow dust and particle. 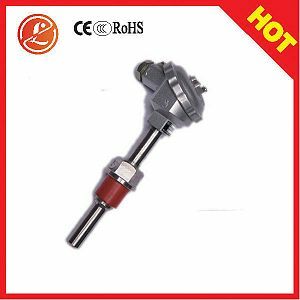 The thermocouple of this series is mainly used for the temperature measurement of fluidized bed furnace,furnace in fluid bed and coal dust furnace, as well as the places under other working conditions.